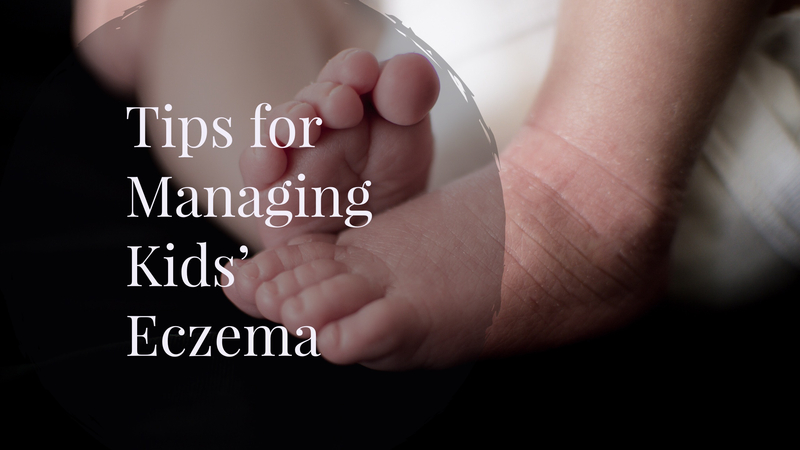 Tips for Managing Baby and Toddler Eczema - Bash & Co. Ever since Bash was a baby, he has been through so many uncomfortable skin issues with baby eczema and severe food allergies. 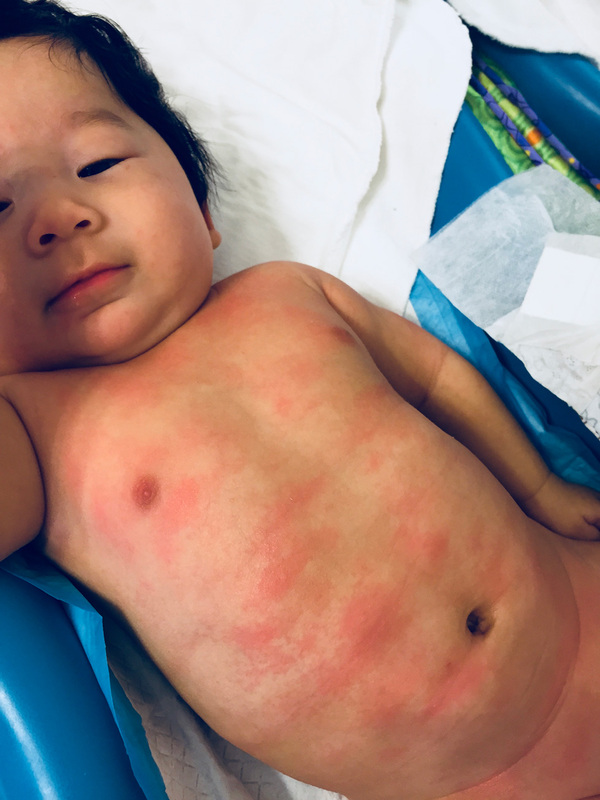 As a preschooler during the height of cold/flu season, he finally hit the trifecta and developed asthma (our doctors warned us that asthma is common in children who exhibit eczema and allergies). We’ve been regulars at the Pediatric ER, with 4 visits under our belt (3 visits within the last 2 months alone as we work to get his asthma under control). So, while we love a snowy winter, this season can be debilitating for babies and toddlers suffering from eczema. As soon as the temperatures drop and our building turns on our warm but dry radiant heat, eczema seems to hit the family hard. We’re sharing what’s been helping to prevent severe flare-ups this season in hopes it might be helpful. It’s important to remember that each case of eczema is unique and causes may vary. So, it’s been incredibly helpful for us to regularly consult our Pediatrician, Pediatric Dermatologist, and Pediatric Allergist and we recommend you do the same. Our first step was diagnosing and managing Bash’s food allergies. 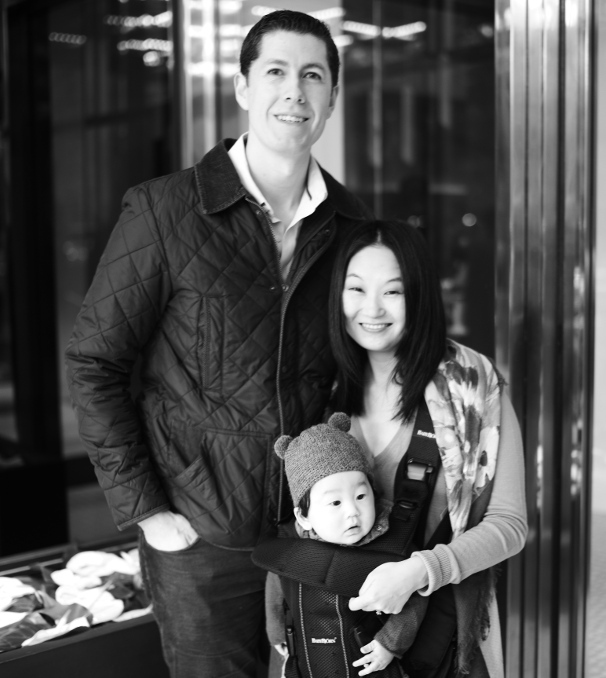 With both Nick and my history of food allergies, we were very cautious with introducing foods. We had also noticed that Bash’s baby eczema would flare and he would get hives post-dairy, so I had already eliminated dairy from my diet while breastfeeding. (Ick, soy cheese pizza definitely isn’t the same but DeMaven’s coconut milk ice cream is actually pretty tasty). Bash had a blood test at 8 months and it came back with the usual suspects (dairy, eggs, and tree nuts) plus a few random ones like sesame. We worked with our Pediatric Allergist to conduct food challenges and increase tolerance levels. However, we’ve had to quit dairy introduction as it’s grown more severe and we had a bad anaphylactic reaction which sent us to the ER this summer. While avoidance of these foods is annoying and definitely limits Bash’s palette, we have noticed that his eczema has gotten significantly better. Additional tips: We also recently introduced probiotics to see if that might help with both his food allergy tolerance and eczema. Also, if you have pets, check the ingredients in their food for potential triggers that your child may be allergic to if the pet licks your child. Since clothing manufacturing incorporates so many chemicals (from fire retardants to special fabric finishes to help garments stay “fresh” on the shelves) and potential debris from transport and storage, we always wash all of our new clothing before wearing. To avoid any further irritants, we make sure to use a free and clear detergent for all our family’s clothing. 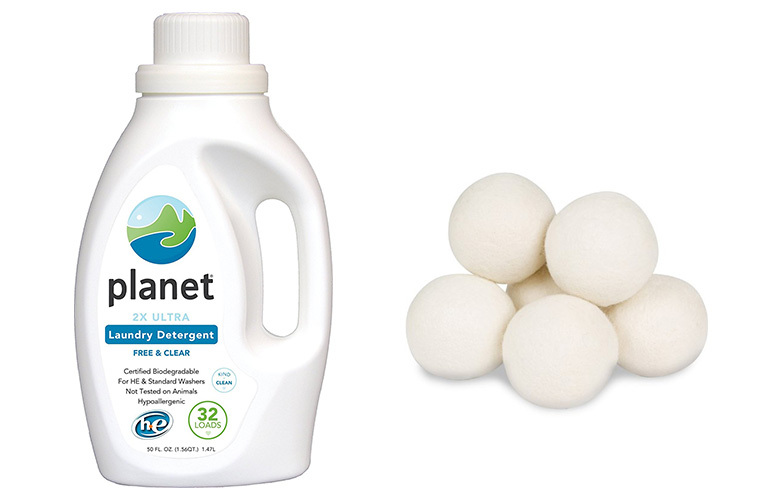 We like the Planet 2X Ultra laundry detergent, it’s clear and free and it has an “A” rating from EWG. We also continue to avoid dryer sheets and / or fabric softener. Instead, we opt for these 100% wool dryer balls. While we typically avoid scents, I do add a few drops of lavender essential oil to the dryer balls from time to time to give our laundry that “freshly washed” scent. When Bash was a baby, we tried to stick with organic cotton clothing, sleepwear, and bedding. We also do an extra rinse cycle with a little bit of baking soda to make sure we got out all of the detergent. For general cleaning, we try to avoid products with harsh chemicals and scents. For deep cleans we love using a steamer. Nick can get excited with new gadgets, even if they are for cleaning, and decided to get a commercial grade Dupray steamer right before Bash was born (consider it his “nesting” instincts kicking in!). 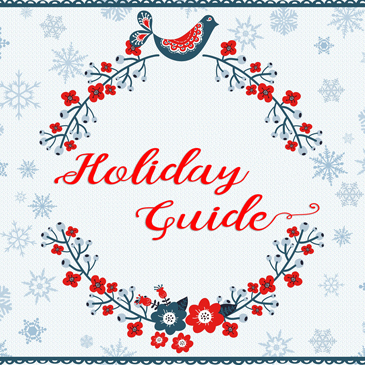 We use it all the time and it’s one of the best investments (seriously)! We steam clean everything: toys, pillows, mattresses, stove, bathtub, and floors…I even use it to clean my jewelry. If it’s in your budget we highly recommend Dupray steamers. 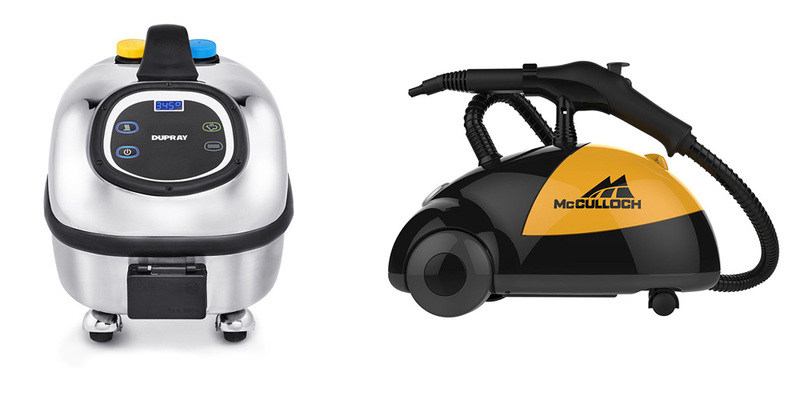 For a budget friendly steamer check out the McCulloch steamer. Trust me, you will definitely want one as soon as the first stomach bug hits your household. While baths used to be part of our nightly bedtime routine, in the fall / winter, we started limiting his baths to help prevent his delicate skin drying out. 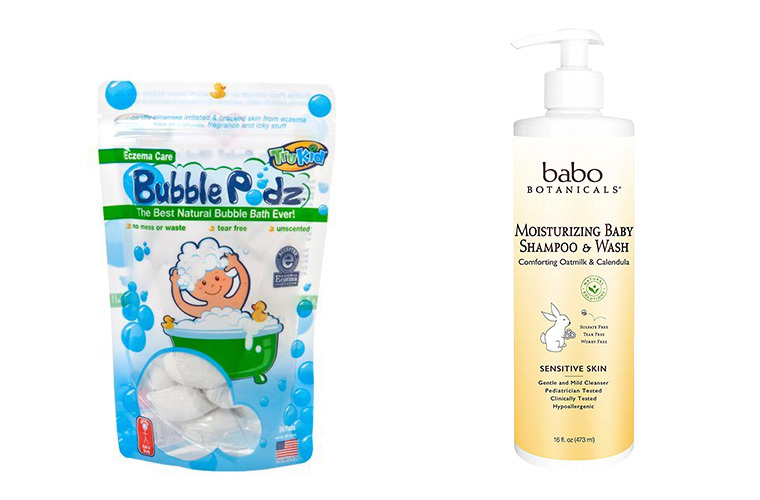 Like mom, Bash loves a good bubble bath and we’ve tried a variety of bath products to achieve this effect. We love the TruKid Eczema Bubbles – sensitive on his skin but still produces some serious bubbles. When he was an infant we tried everything Johnson & Johnson, Mustela, and practically every organic baby soap sold at Whole Foods. The one that worked the best was Babo Botanicals (it is also gets a top score from EWG). When we first went to the doctor for Bash’s skin issues, both our Pediatrician and Pediatric Dermatologist recommended a bleach bath. I was a little hesitant at first as I always thought bleach was harsh and I’ve had some bad luck with bleach in the laundry…haha. But, this is a highly diluted concentration and the bleach actually helps rid the germs that cause infection. Consult your doctor for the appropriate mix of bleach to water ratio and frequency. And be sure to keep the diluted water away from your child’s eyes. Bash didn’t seem to mind (he just thought it was a normal bath) and the redness was definitely reduced. We’ve also done diluted apple cider vinegar baths for a similar effect. 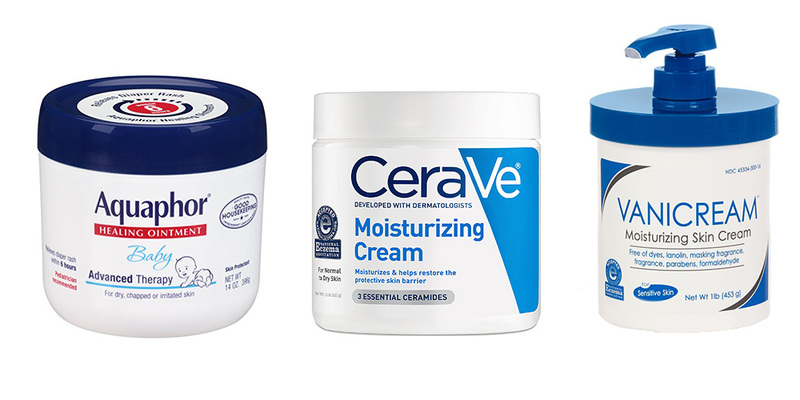 Keeping skin moisturized is incredibly important to help prevent dry, itchy skin. We’ve been through a host of lotions and potions and while we haven’t found the single magic cure-all, we have found a combination that’s been keeping Bash healthy. We typically apply lotion multiple times a day and always immediately post-baths. This is a little tricky since Bash seems to hate lotion – he loves dipping his fingers in creams but screams if it touches other parts of his body. Other moms swear by coconut oil, California Baby, Aveeno, Cetaphil, Dove Sensitive, Vaseline, shea butter, and / or aloe vera. I’d say that it really depends on your child’s case, so be prepared for a lot of trial and error to find a combination of products that work. We like Aquaphor, Vanicream, and CeraVe. Whatever you use, just remember to first read the ingredients carefully to avoid harsh chemicals or triggers (we’ve found that almond oil and high concentrations of citric acid are triggers). Additional tips: For outdoor play, we like the Badger and ThinkSport brand of sunscreens. We also always keep a humidifier on full blast in Bash’s room during the winter to help combat the dry air. We use the Crane Drop Ultrasonic Cool Mist Humidifier, which is very quiet and has a nozzle to help direct the cool mist (we set it on a stool pointing directly over Bash’s crib), but you do need to clean this every day. We also have the Honeywell Humidifier, which is great, but it’s a behemoth and a little noisier. Definitely easier said than done! This is especially true in the summertime when babies / kids are less clothed and, thus, skin is more easily accessible for scratching. When Bash was a baby, we literally had him in mittens / socks covering his hands 24/7. Our Pediatric Allergist also recommended the Scratch Me Not to help prevent scratching. We wound up getting by with mittens. Now that Bash is older, as soon as we see any sign of red patches, we immediately go to our prescription steroid cream. We do try to do as much prevention and limit use of over-the-counter hydrocortisone and our prescription creams as long-term usage can cause side effects and skin-thinning (we actually schedule regular checkups with our Pediatric Allergist to check for signs of skin thinning). So far, over the past few routine checkups, Bash has been eczema-free. With lots of preventative care, we’ve managed to stave off major flare-ups this winter and have yet to use our prescription creams. Has your baby / child suffered from eczema? We’d love to hear your advice and for how you are managing it. So glad to hear Bash’s eczema has gone away! That’s good you stopped introducing dairy to him, it really isn’t worth it. The girls have mild eczema (flare-ups here and there) and I stopped using HC 2% and only use Jian Pai cream now. It literally works wonders. It helped Ed’s eczema so much too (he would get it bad around his face/ears). I found out about it very randomly on my mother’s online forum and it’s approved by Canada’s FDA as a natural product. No steroids. It’s pretty pricey because the tube is small but it’s so worth it! I use CeraVe cream on the girls (but the green top one) but it has almond oil. I also use the same Planet detergent and like it a lot. Maddie takes a probiotic daily from Klaire but I stopped giving it to Olivia (got lazy). Hi Annie! So far, we are managing through this winter (fingers crossed). We will have to check out the Jain Pai cream – sounds like a miracle-worker. So glad you’ve found a great combination that’s helped your family! Great post! Our pediatric dermatologist prescribed Eucrisa, a steroid free cream that treats minor flare ups so you can avoid the steroid cream unless it’s really bad. We’ve been having great results with it! Haven’t used the steroid cream in over a month when before we were using it almost daily. Hi Anne! Thank you so much and so glad you found this post helpful! Glad to hear you are off the steroid cream and we will have to check out Eucrisa. I’m excited there are some good steroid-free alternatives that sound like they are getting results.